1. Mix all ingredients except cabbage, carrot and onion in large glass or plastic bowl. Add remaining ingredients; toss until evenly coated. 2. Cover and refrigerate at least 1 hour to blend flavors. Cover and refrigerate any remaining salad. 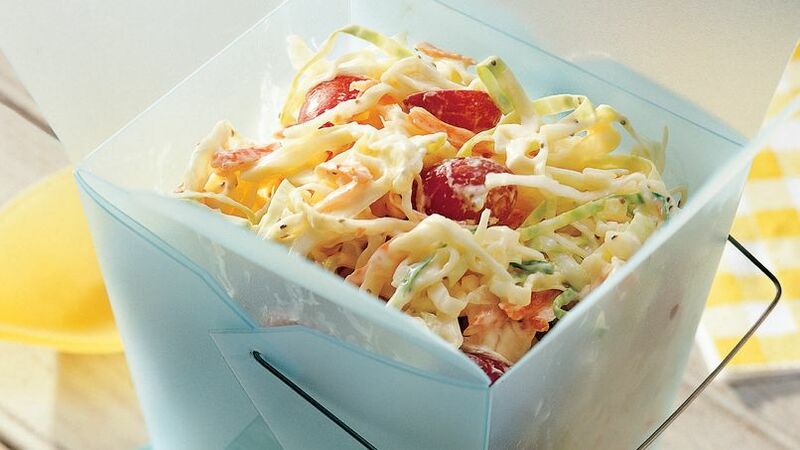 Lighter Creamy Coleslaw: For 1 gram of fat and 55 calories per serving, use reduced- fat sour cream and fat-free mayonnaise.